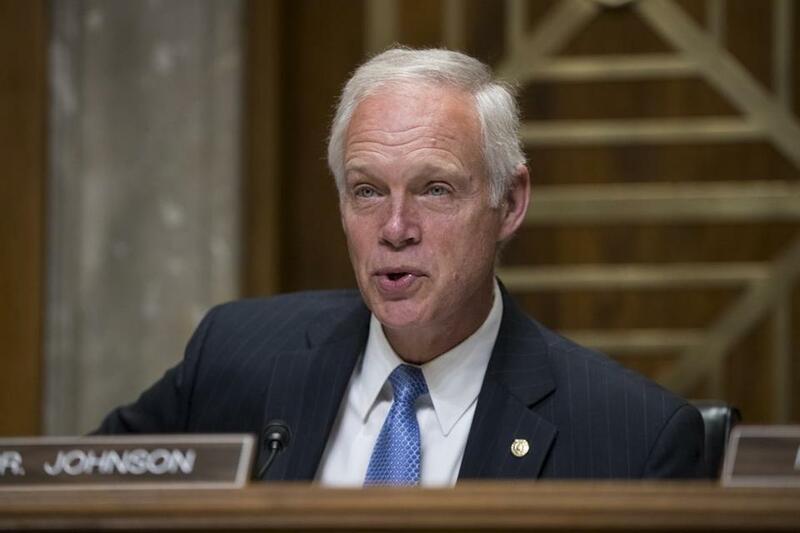 Republican Senator Ron Johnson of Wisconsin said he would have liked to have seen the tax bill months ago. WASHINGTON — The Senate released the 515-page text of its sweeping tax legislation for the first time Monday evening — and Republican leaders plan to hold a floor vote on it within 10 days. That short span reflects an unusually fast process in both chambers, said William Galston, a senior fellow in governance studies at the Brookings Institution, a Washington-based policy group. The House passed its tax bill 14 days after releasing its text. The last time that Congress rewrote the tax code, in 1986, “the actual legislative deliberations over the bill stretched out over months — and it was a good thing,” he said. More recently, when Democrats tried to overhaul health care in 2009, he said, “the Affordable Care Act was on the table for six months, or more” as then-Senate Finance chairman Max Baucus negotiated that summer with Republicans, only to come up empty-handed and proceed without them. Republicans on the Senate Finance Committee say it’s standard practice for the panel to consider, amend, and approve proposals that are written as descriptions of plans — without full legislative text — as it did last week with the tax measure. Congress is on recess this week. Senate leaders say they plan to hold a floor vote after lawmakers return the week of Nov. 27. If their plans go smoothly, a vote could take place as early as Nov. 30. If the full Senate approves the measure, lawmakers would have to reconcile differences between the Senate and House bills before sending a final version to President Trump. Meanwhile, an independent analysis found Tuesday that the Senate legislation would result in between $1.3 trillion and $1.5 trillion in lost revenue over 10 years — even after considering economic growth effects. The Penn-Wharton Budget Model at the University of Pennsylvania released the finding, which counters assertions from the bill’s proponents that it would pay for its tax cuts with increased growth.